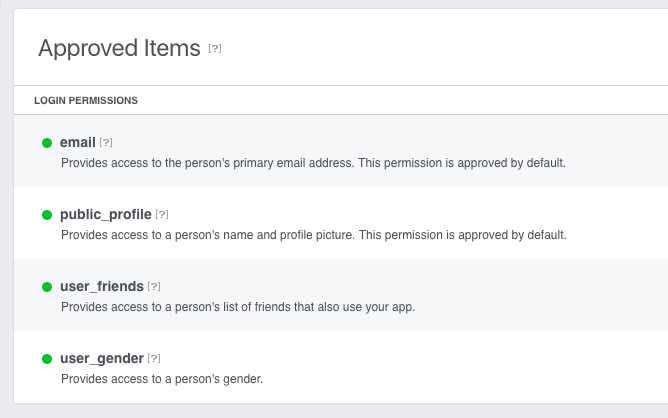 Hi….. After waiting 1 week of permission request for user_friends, I got approval for it this morning. I have already submitted Business verification. But when I tried to add user friend to my viral quiz, it didn’t show up. I am using phpviralquiz script for this website. Is there anyone currently using user friend features at your viral quiz with phpviralquiz script. If you are using it, please share how you make it to work. I got contact with developer of phpviralquiz.com , he said that his script no longer use user_friends feature because of Facebook changes. Which script are you using now? With phpviralquiz, it is quite easy to get permission. I applied user_gender first and got approval in one attempt. Then applied for user_friends and also got approval for it. It took around 2 weeks to get approval response from Facebook. I didn’t change switch my FB app into development mode. Just need to take a proper screen cast to submit. With nametestapps, I still didn’t get an approval. This is my third attempt. I switched FB app into development mode and waiting since July 12. I am not sure it is because of website architecture or not, but phpviralquiz is easy to get approval even the quiz unable to generate the result. The ground rule is if your website already using the items (eg. user_genders), your website can show the gender result without needing to switch into development mode, and it will be easier to get approval. If your website is new and have not used the item, you should apply with development mode. So they accept permissions for quizzes sites? I always thought that they are againts it. It’s your third attemp with nametestapps? which mean they rejected you in the first two times? why? Yah. They accepte for quizzes sites. It is legit. I got permission for user_friends and user_genders for phpviralquiz website. I just got permission for user_photos for nametestapps yesterday. But user_gender was rejected again. I think this time was test viewer’s fault. Now I submit direct support and also raised an issue in Developer group. For the first and 2nd time is my fault, I didn’t switch my Facebook app into development mode, so the test viewer cannot see the actual result. So they rejected my request. I switched to developer mode and applied for third time, the results are mentioned above. Just an update, I got approved for user_genders for nametestapps right now. I will write about how I had to struggle yesterday with Facebook support team. 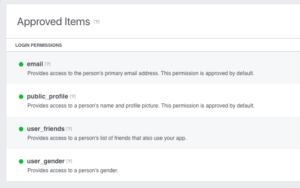 I’ll be glad to hear and read about your sturggels with the user_genders because it seems wierd that they accepted user_friends and not genders..